According to recent findings, San Francisco’s sinking condo tower just got a little bit more down to earth. 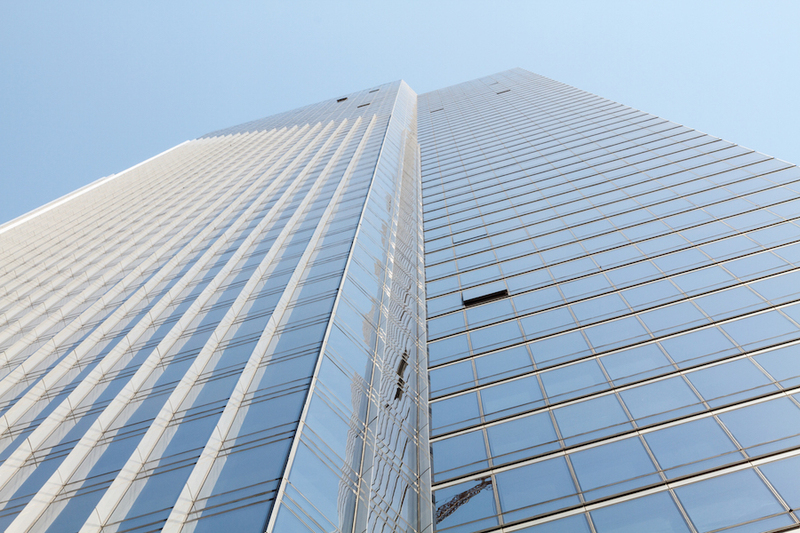 The 58-story Millennium Tower, designed by Handel Architects, has sunk nearly 17 inches since its opening in 2009. Last summer, controversy enveloped the failing monolith when the settling came to light, as residents posted videos online of objects rolling across their floors to demonstrate just how slanted the 419-unit building had become. 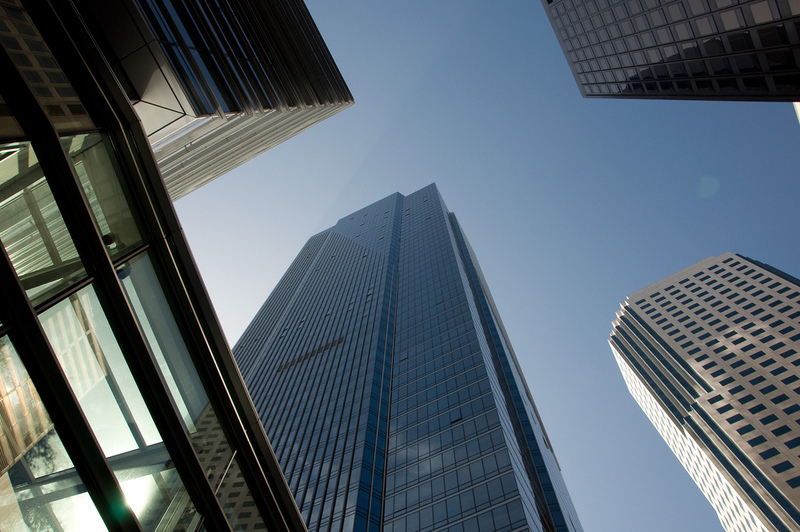 Recently, engineers with Arup—employed to work on the currently under-construction Salesforce Tower designed by Pelli Clarke Pelli Architects next door—inspected the Millennium Tower’s rooftop height and found that the tower had sunk an additional 2 ½ inches beyond the initial 14 ½–inch drop recorded last year. Increasingly, the tower is tilting precariously toward the Salesforce Tower, as the muddy and sandy soils beneath it give way. It is built on a foundation of concrete friction piles, driven between 60 and 90 feet into the soil, that do not rest on bedrock. The method is employed by several other developments in the area, though the type of settling occurring at the Millennium Tower has not been seen in any of those projects. Troublingly, the tower is not only sinking, but it is sinking unevenly, resulting in a measurable slant to the 645-foot-tall complex. As the muddy and sandy soils beneath it give way, it continues to tilt precariously toward the Salesforce Tower. As of 2016, according to court documents, the tower exhibited a 2-inch westward tilt at the base and listed a whopping 10 inches at its top. Recent projections put the potential maximum drift at 10 inches every two years unless something is done to rectify the issue. As can be expected, the structural deficiencies have resulted in a flurry of lawsuits, including one from the building’s homeowners’ association. The association is seeking to force Millennium Partners, developers and owners of the tower, to perform $150 million worth of foundation upgrades that would add 150 new end-bearing piles in an effort to rest the building on bedrock. 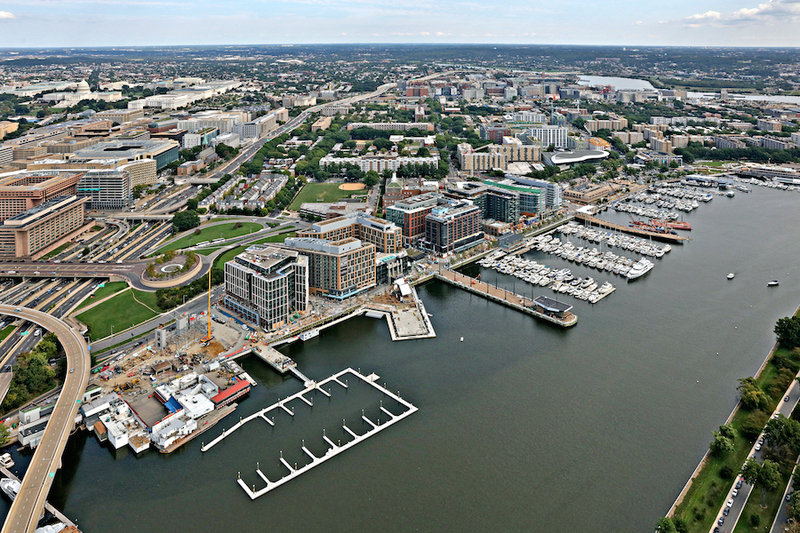 The Wharf–a $2 billion new development on a former industrial stretch of the D.C. waterfront–has finally opened. The developers are Madison Marquette and PN Hoffman, and the master architect and planner is Perkins Eastman. Previously the site was a mile-long stretch of boat storage, industrial space, and some back-door barbecue joints. At its northern end, it also includes the oldest fish market in the United States. Before the Wharf could be built, the existing seawall and promenade were torn up and replaced by an underground, two-story parking garage spanning the length of the development. The garages connect from below into an array of luxury residential structures with ground-level commercial space–restaurants, yoga studios, and other amenities. Last week all of these opened to the public–in total, 1.2 million square feet of mixed-use space including office structures, luxury and affordable residential space, a marina, and waterfront parks. The fish market was the only structure preserved as-is. The Anthem, a new 6,000-person theatre venue, is a cornerstone development of the Wharf. Designed by New York-based Rockwell Group, the venue is essentially a concrete volume hedged in by two L-shaped residential structures. The Anthem has a warehouse-like interior and two levels of balconies split into smaller, drawer-like extrusions. Massive steel panels flank the stage, laser cut and illuminated with the pattern of two enormous curtains drawn back, resembling the velvet drapery of Baroque theaters. The space is managed by a 30-year old staple organization in D.C. entertainment–the 9:30 Club–to whom the Wharf reached out in the initial stages. The building’s board-form concrete paneling and industrial facade are intended as a nod to the Club’s famed punk-laden lineups. In the lobby, one can look up through an installation of floating cymbals to four rectangular skylights three floors up. If you look closely, the skylights ripple with water–the underbelly of a pool for a residential structure stacked above. A key design challenge for the Anthem was its siting between two residential structures. To address the noise issue, Rockwell spent several million dollars designing a multi-layered sound barrier between the structures, which are reportedly so effective that amplified concerts are inaudible from the interiors of apartments less than a hundred feet away. Supposedly, a resident could sleep soundly while Dave Grohl shredded away on opening night. The Anthem's neighboring structures include designs by FOX Architects, Kohn Pedersen Fox, Perkins Eastman, Parcel 3A, Cunningham Quill Architects, BBG_BBGM, Handel Architects, WDG Architecture, Studio MB, SmithGroup JJR, MTFA Architecture, SK&I, and Moffatt & Nichol. Only Phase One has opened. Phase Two will add an additional 1.2 million square feet to the overall site footprint, mostly extending south. The roster of new structures will include designs by firms such as SHoP Architects, Rafael Viñoly, Morris Adjmi Architects, Hollwich Kushner (HWKN), ODA, WDG Architecture, and Michael Van Valkenburgh Associates (MVVA). The expansion will include increased office and residential space, an additional pier and marina, as well as increased park space. Phase One is notably without much public greenery. The construction of Phase Two is slated to begin in 2018, with a projected opening of 2021. 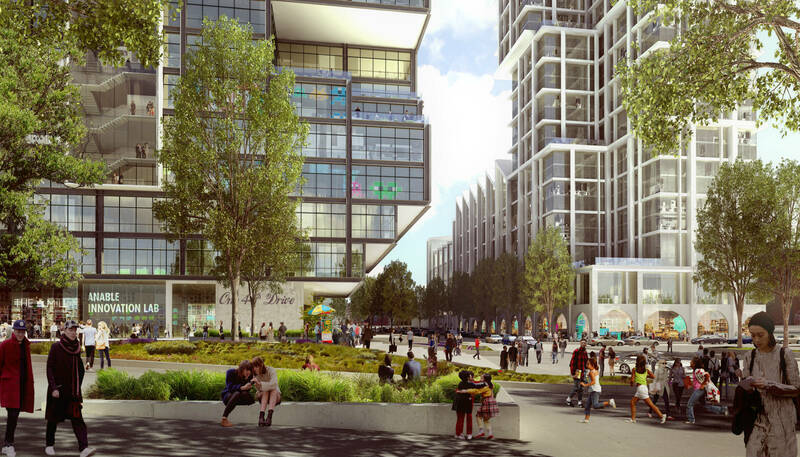 Long Island City’s booming waterfront could be getting yet another high-rise, mixed-use project. However, this time the developers are proposing something new: the inclusion of factory space with the shiny new apartments. After a year-long selection process, the New York City Economic Development Corporation (NYEDC) chose developers TF Cornerstone (TFC) to lead the $925 million mixed-use development on the 4.5-acre site at 5-40 44th Drive and 4-99 44th Drive, as first reported by the New York Times. ODA, Handel Architects, and Mathews Nielsen Landscape Architects are the architects. TF Cornerstone’s proposal will see a 1.5-million-square-foot, two-building complex with 1,000 rental apartments as well as 100,00 square feet of light manufacturing space. 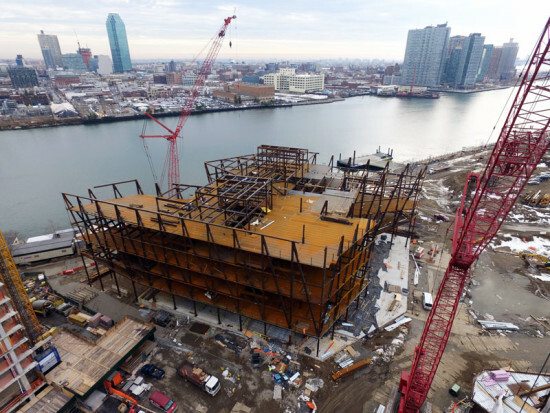 There will also be 400,000 square feet of offices, 19,000 square feet of stores, an elementary school, and a one-acre waterfront park along the Anable Basin on the East River. The two towers are planned to rise to around 65 stories and 50 stories but will taper towards the top. The apartments will range from studios to three-bedroom units and 25 percent of the units will be below market rate in accordance with the EDC's Request for Proposal (RFP). 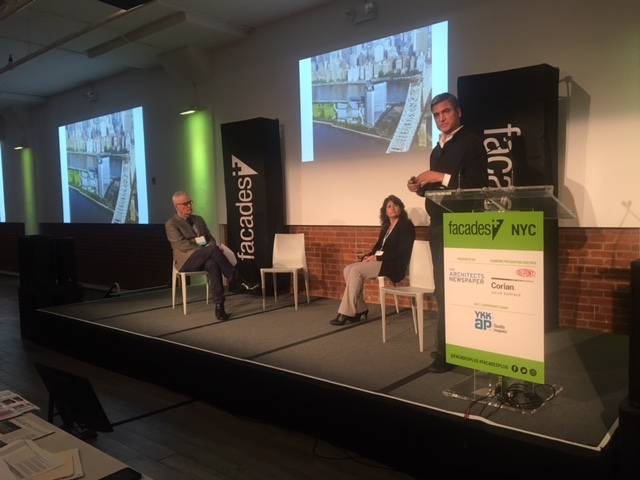 “One of the primary goals of this project is to support the commercial, technology, artisan, and industrial businesses of Long Island City, while also balancing that work environment with [the] market and affordable housing,” Jake Elghanayan, principal at TFC, said in a press release. TFC will also be working with three other development partners: Greenpoint Manufacturing and Design Center, Coalition for Queens, and BJH Advisors. New York’s current zoning laws separate housing and manufacturing industries, creating clear boundaries in the city as to where factories can be. This project, which still has years to go before construction starts, will require rezoning approval to include manufacturing space in the development. If all goes according to plan, however, the project is expected to be completed by 2022. The Millennium Tower in San Francisco has sunk another inch in the past seven months, but on the brighter side, engineers have found a potential fix, according to SFGate. The residential tower has been plagued with issues since last year when news got out that it had sunk 16 inches since its opening in 2008 (make it 17 now). It’s not just sinking, either—the tower is settling unevenly and leaning more towards the northern side in a 14-inch tilt from the building’s roof. Millennium Partners, the developers behind the Handel Architects–designed building, hired a team of engineers, who believe they have a solution that will prop the tower back up. According to LERA and DeSimone Consulting Engineers, drilling 50 to 100 new piles down to bedrock from the building’s basement will rectify the problem. This fix could cost up to $150 million. 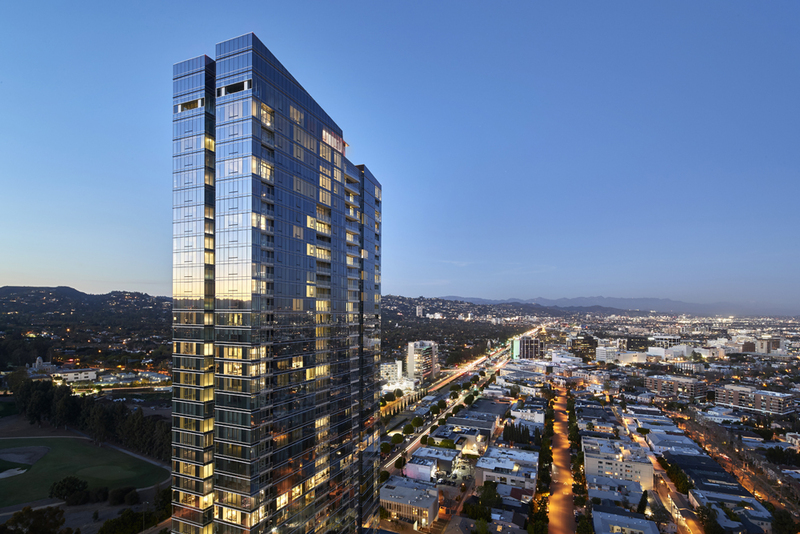 The building’s million-dollar apartments have attracted big-name buyers, including San Francisco Giants outfielder Hunter Pence and former 49ers quarterback Joe Montana. But when it was revealed that the tower had sunk more than its predicted six inches, residents filed individual lawsuits. The tower’s homeowners association (HOA) also filed a case against both Millennium Partners and Transbay Joint Powers Authority, the firm behind the adjacent Transbay Transit Center. The gravity of the situation is increasing as a new report by Arup, which has conducted previous reports on the tower, reveals that the rate of sinking remains constant with no sign of let up. “This accelerated movement highlights the need to retrofit the foundation as soon as possible,” Daniel Petrocelli, who is the lead attorney against the developer, said in a statement in NBC Bay Area. Millennium Partners, the developer of Handel Architects—designed Millennium Tower in San Francisco, is being taken to court over the building's alarming sinking issue. The tower's homeowners association (HOA) let residents know last Thursday that it was filing a case against both Millennium Partners and Transbay Joint Powers Authority—the firm behind the substantial transit development adjacent to the tower. In the months prior to this, the HOA had staved off any legal action, advising tenants to do the same, as they privately discussed workarounds with the developer. (Some residents still filed lawsuits of their own.) During this process, the finger of blame was pointed toward the $2 billion, Pelli Clarke Pelli–designed transit scheme nearby that reportedly destabilized the tower's foundations. The 20 tenants that took matters into their own hands, though, made a different case. They argued that Millennium Partners was well aware that the structure had sunk significantly more—and at a faster rate—than expected, and failed to let prospective buyers know. A study in Fall of last year found that the tower and sunk 16 inches since it’s opening in 2008. By contrast, initial predictions for the building suggested that it would only sink six inches over its lifetime. To make matters worse, Millennium Tower is not settling evenly either, something which has result in a two-inch tilt. According to coverage from NBC Bay Area, the HOA has said: "The lawsuit would be intended to ... hold the defendants responsible for the damage to the building and... require the defendants to fund a comprehensive repair and restoration of the building, among other relief." A meeting scheduled for March 6 will apparently be held to "to discuss problems that may lead to the filing of a civil action, nonlitigation options, and other considerations." Whether the residents, unlike their tower, settle, remains to be seen. 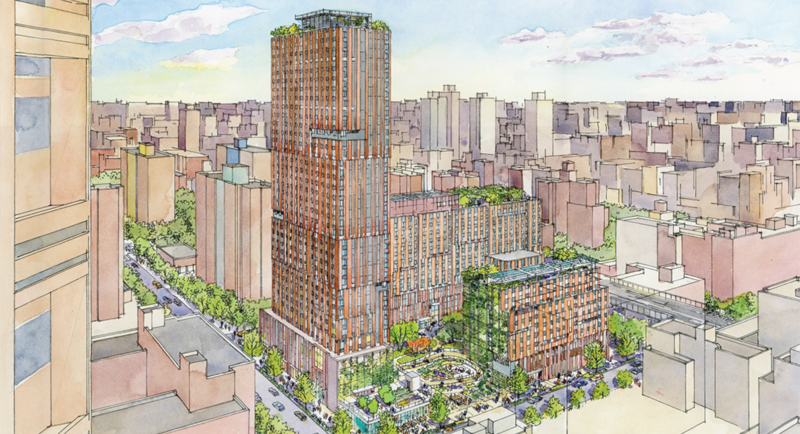 In East Harlem, a cluster community gardens will soon make way for a large affordable housing complex. Developer Jonathan Rose Companies is set to build 655 apartments ensconced in an amenity-loaded project along East 111th and 112th streets, between Park and Madison avenues. 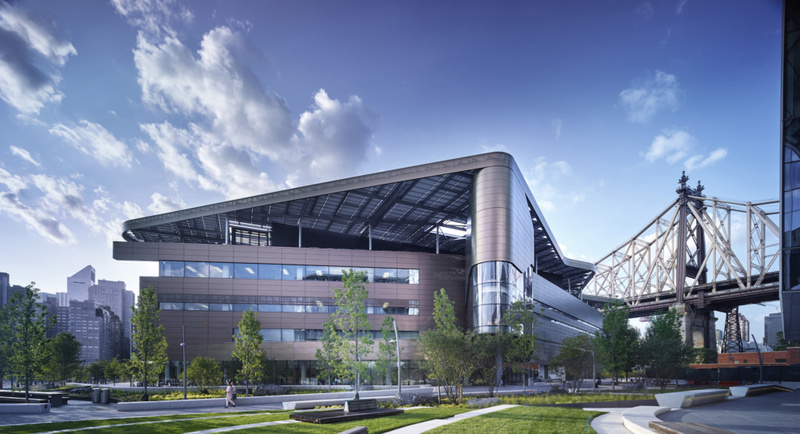 The 751,000-square-foot complex, dubbed Sendero Verde (green pathway), is meant to be a "self-sustaining" community, with a Mount Sinai–run health care center, grocery store, restaurant, job training, charter school, a YMCA, and facilities for Union Settlement, a venerable community organization, on-site. Rose is partnering with L+M to develop the project, which is designed by New York–based Handel Architects. "Our goal is to create a complete community… not only housing but services for all the residents," Rose told Politico. "We hope this block will be a real model of transformation, not only for the new residents who live there but for the whole neighborhood." On a green note, the development will follow passive house standards for improved energy efficiency, while the four community gardens will be planted anew inside the project. Sendero Verde foreshadows changes for a neighborhood that is preparing for a 57-square-block rezoning that will permit buildings up to 30 stories tall in some areas. Although the city will regulate the buildings' rents, making this a "100 percent affordable" development in HPD-speak, the highest rent thresholds exceed those of market-rate buildings nearby. While East Harlem's overall supply of affordable housing could shrink due to development pressure, the neighborhood is slated for more brand-new affordable buildings, like L+M's Lexington Gardens II, designed by New York's Curtis + Ginsberg, which sits a couple blocks away from Sendero Verde. A recently struck agreement between Group I—the developer for a Handel Architects-designed mixed-use housing and hotel project in San Francisco’s Tenderloin neighborhood called 950 Market Street—and TLGB activists will soon yield the country’s first transgender cultural historic district. The new Compton’s Cafeteria Transgender, Lesbian, Gay, and Bisexual (TLGB) District is being crafted as a result of neighborhood opposition to the project, originally designed by Bjarke Ingels Group, that aims to bring apartments and a hotel to the heart of the city’s historic TLGB enclave. A deal struck between activists, the developer, and San Francisco Supervisor Jane Kim would utilize $300,000 paid by the developer to establish the cultural district the area in order to preserve the architectural and social legacy of the neighborhood’s many gay bars, several of which are being demolished in conjunction with the new project. The fund is to be administered by the San Francisco Mayor's Office of Economic and Workforce Development and will support local business and nonprofit organizations that serve transgender people in the district. The district is named for Gene Compton’s Cafeteria, the site of a two-day riot in 1966, an event that predates the Stonewall Riots in New York City by two years and is considered as the first major transgender protest in the United States. President Barack Obama elevated the Stonewall Inn—a gay bar in New York City’s Greenwich Village neighborhood—as a National Monument in 2016, the first such monument for the TLGB community in the country. The district encompasses a collection of roughly ten blocks in the Tenderloin neighborhood along Viki Mar Lane, 6th Street, and Market Street and surrounds an area formerly known as the “meat rack,” a stretch of town friendly to lesbian, gay, bisexual, transgender and queer populations in the city from the 1950s through the early 1970s that is also home to many historic gay bars. Of these, the Old Crow, Rainbow Tavern, and Silver Rail bars will be torn down to accommodate the development. A two-story structure known as the Dean Building is also being town down. The roots of the district as a cultural site for TLGB populations go back to the Gold Rush era. In a press release touting the first-of-its-kind cultural district, Kim explained the importance the cultural site during a time of newly-restrictive social mores, as an ascendant conservative ideology permeates national political and social discourse, saying, “By creating the Compton’s TLGB District we are honoring this vibrant community built by transgender people, and are sending a message to the world that trans people are welcome here.” Handel Architects’ 12-story complex, with an eye toward the particularities of a neighborhood that is historically home to a collection of specialized communities, including low-income, homeless and under-housed populations, will aim to bring 242 new mixed-income units to the neighborhood. 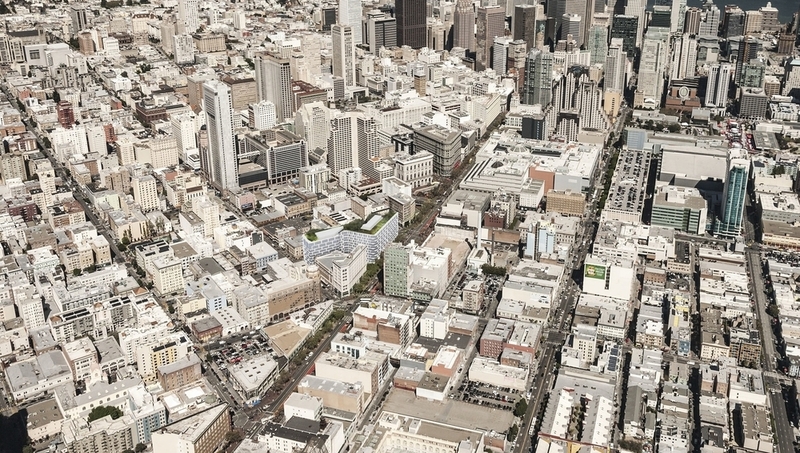 The developers behind the project also aim to work with the Mayor’s Office of Housing and Community Development (MOHCD), the Tenderloin Neighborhood Development Corporation (TNDC), and Tenderloin Housing Clinic (THC) to develop between 60- and 70-units of off-site, deed-restricted affordable housing. The affordable complex, to be located at 180 Jones Street, will make use of a $14.8 million in fees and donations by the developer to come to fruition. When built, it will be operated by MOHCD. The project—articulated as a snaking apartment block decorated with a hexagonally-shaped structural grid populated by large expanses of floor-to-ceiling glass walls—is expected to take about two years to build and will contain, among other programmatic components, a neighborhood non-profit threater. The forthcoming Magic Theater, designed to occupy a 2,000-square-foot retail space at the corner of Turk and Taylor streets, will also contain a locally-owned cafe. The tallest residential tower in San Francisco, and the city's third tallest overall, has sunk 16 inches since it's opening in 2008, according to SFGate. Designed by Handel Architects, the Millennium Tower is one of the highest-profile buildings in the city with units selling as high as $12 million for a penthouse, one of which was owned by venture capitalist Thomas Perkins until his death earlier this year. Other notable residents include San Francisco Giants outfielder Hunter Pence and former 49ers quarterback Joe Montana. Currently the Transbay Transit Center, a transit station and neighborhood development project, is under construction on an adjacent site. Its first phase is due to be completed in late 2017, but a study of the site conducted by Arup in 2010 found that the tower had already sunk ten inches. Initial predictions for the tower suggested that it would only sink six inches over its lifetime. Of added concern is the fact that the tower is not settling evenly, and now has a tilt of two inches. Professor Greg Deierlein of the John A. Blume Earthquake Engineering Center at Stanford University told SFGate that these figures were "significant...and of concern," but not yet a threat to safety. However, the imbalance can lead to expensive maintenance costs down the road due to cracking walls and other structural issues. The Transbay Transit Center and the building's developer, Millennium Partners, have each placed blame for the tilt on the other. P.J. Johnson, a spokesperson for Millennium Partners, told SFGate that the nearby construction on the Transit Center caused the problem, suggesting that adequate measures were not taken to protect the tower during the excavation. Representatives of the Transit Center, on the other hand, have suggested that Millennium engineers cut costs and failed to anchor the building into the bedrock. The building also uses concrete rather than steel, and is therefore much heavier. It's unclear what steps developers will take to combat the issue, but it will likely involve expensive and complicated repairs.